This past weekend I went to the Long Beach Antique market which is pretty awesome, I always find new treasures that are inspirational. My new fav is Uber Chic Home, owned by two young men that scour the U.S. and Europe for unique antiques and industrial items. Often they repurpose them into new and creative ways. 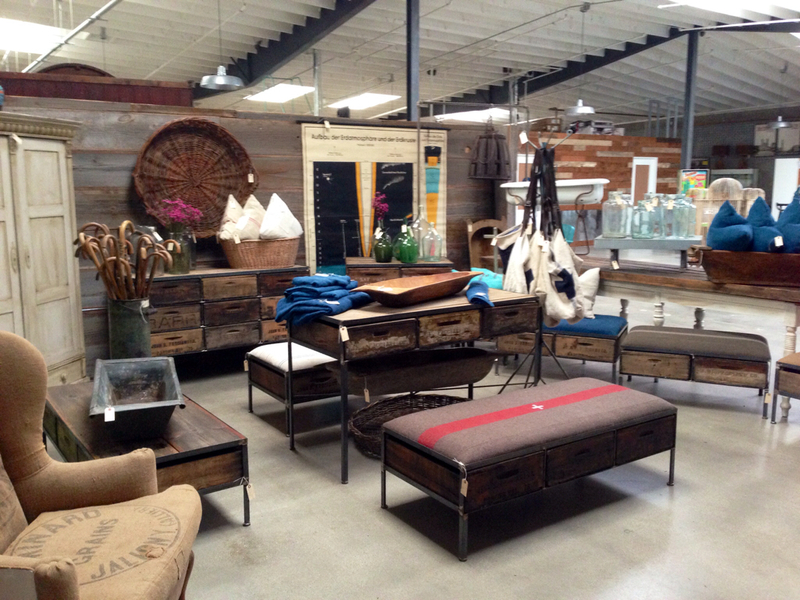 What caught my eye were these amazing benches made out of an industrial base with various antique fabric tops – jute grain bags from the 30′ and 40’s, and vintage fruit crates as drawers. 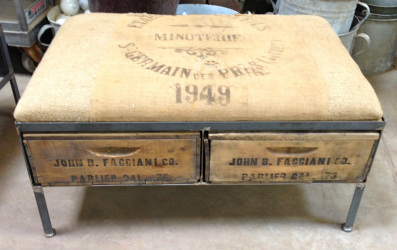 They have all sorts of amazing finds from Italian wine bottles to French harvest tables to Austrian benches. The owners run a brick and mortar store in Salt Lake City as well as show at various flea markets. 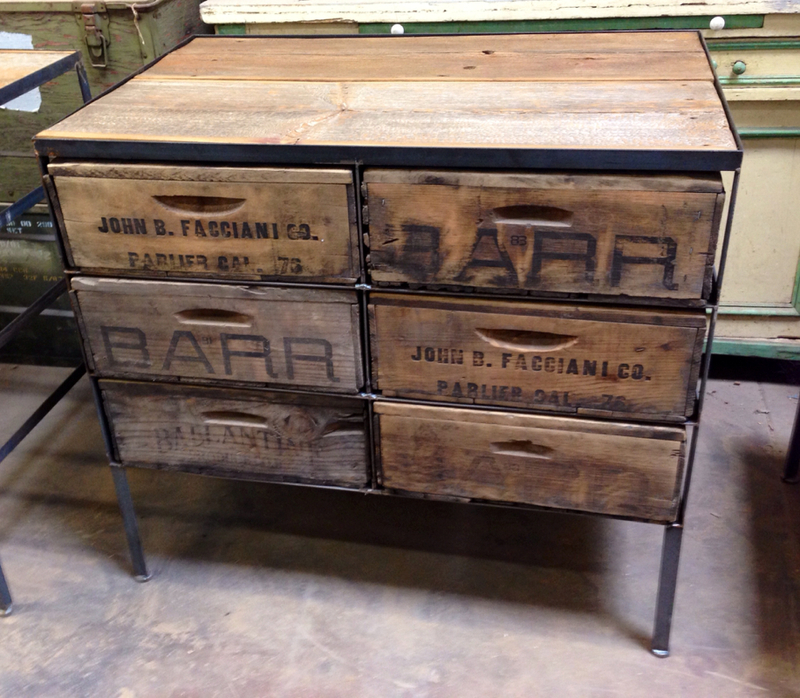 They also recently joined a collective store of antique dealers in Long Beach, CA called Urban Americana. The best part is their selection refreshes monthly as new containers arrive of their worldly treasures! 19 Mar	This entry was published on March 19, 2014 at 8:05 am. It’s filed under Decor and tagged European Antiques, Long Beach Antique Market, U.S. Antiques, Uber Chic Home, Urban Americana Antique Dealers, Vintage Jute Bags. Bookmark the permalink. Follow any comments here with the RSS feed for this post.